Fresh Ontario McIntosh Apples $4.99 Sale Price 8lb bag. 3 days only. Sweet Red, Yellow And Orange Peppers $1.99 lb Sale Price Product of Ontario. $4.39 kg. Longo bro taste Ontario sourced. Foodland Ontario. 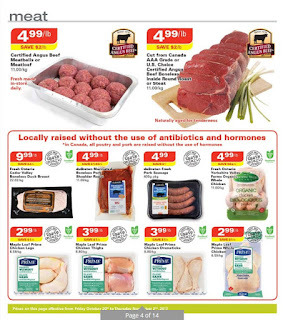 Fresh Ontario Air Chilled, Grain Fed, Boneless, Skinless Chicken Breasts $3.99 lb Sale Price $2.00 Savings $8.80 kg. Value pack. Longo bro taste Ontario sourced. 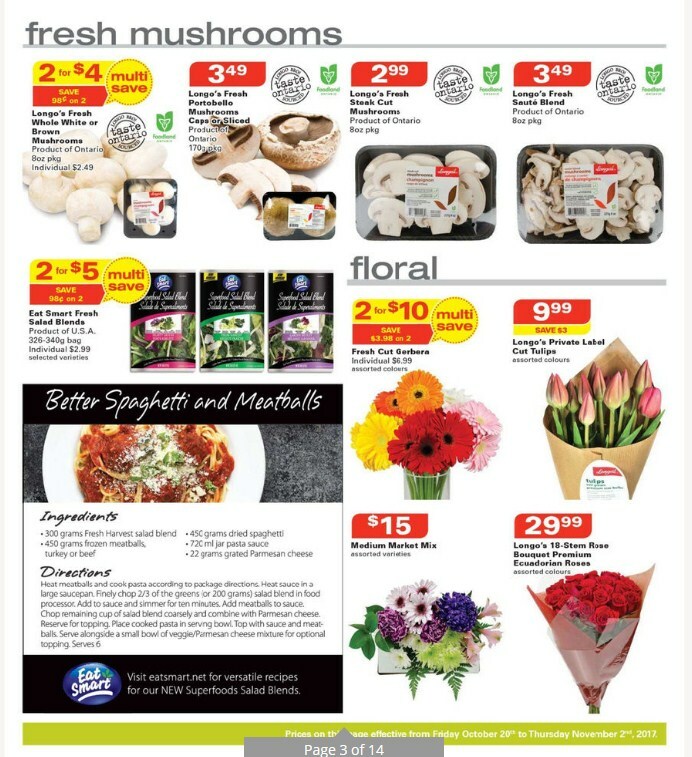 Foodland Ontario.Dom Organics Fresh Organic Atlantic Salmon Fillet $14.99 lb Sale Price $5.00 Savings $33.05 kg.Organic Meadow Milk $7.99 Sale Price $1.50 Savings 4 L bag. 1%, 2% or skim. Selected varieties. 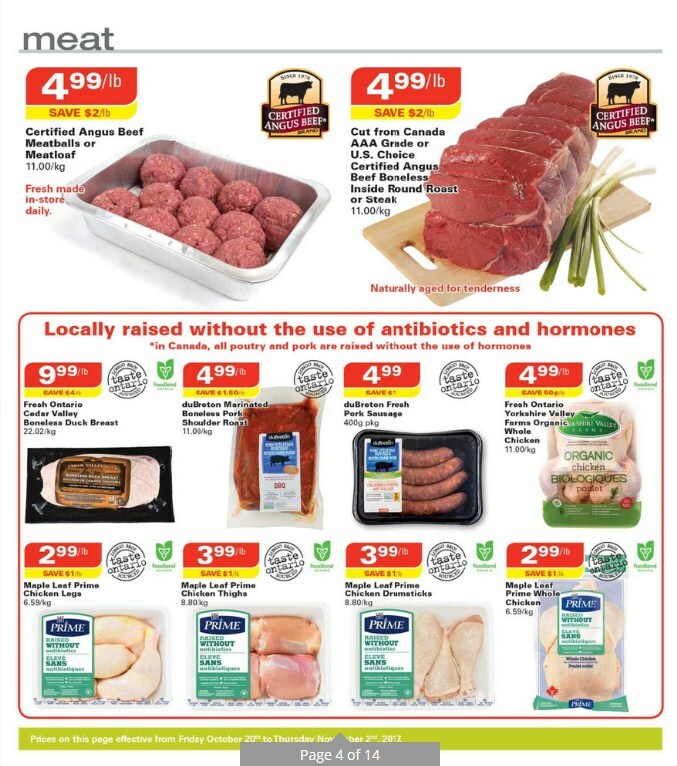 Janes Pub Style Frozen Chicken Or St. Hubert or Swiss Chalet Frozen Pies $5.99 Sale Price Up to $4.00 Savings Janes pub style frozen chicken 600 - 800 g. St. Hubert or swiss chalet frozen pies 470 - 800 g pkg. Selected varieties.Organic Meadow Milk $7.99 Sale Price $1.50 Savings 4 L bag. 1%, 2% or skim. 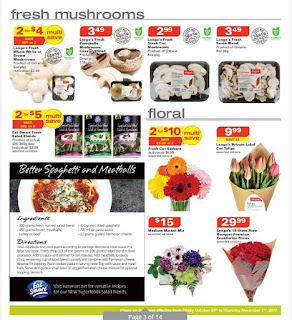 Selected varieties.Fresh Asparagus $2.99 lb Sale Price $6.59 kg. Product of Peru. Clover Leaf Sockeye Salmon $2.99 Sale Price $2.50 Savings 170 - 213 g can. Selected varieties. Christie Cookies $2.99 Regular Price 2 $5.00 Sale Price $1.98 Savings Selected varieties. 187 - 303 g pkg. Multi save. 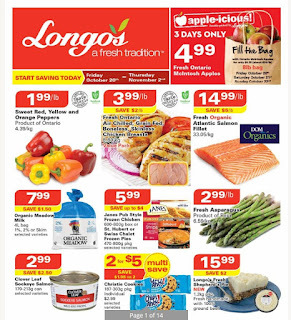 Longo's Fresh Shepherd's Pie $15.99 Sale Price $2.00 Savings 1.2 kg pkg. Fresh handmade with 100% ground beef. 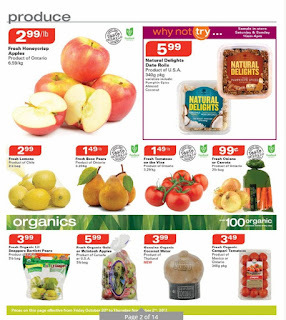 Fresh Honeycrisp Apples $2.99 lb Sale Price Product of Ontario. $6.59 kg. Longo bro taste Ontario sourced. Foodland Ontario.Natural Delights Date Rolls $5.99 Sale Price Product of U.S.A. 340 g pkg. Varieties include: pumpkin spice, almond, coconut. Fresh Lemons $2.99 Sale Price Product of Chile. 2lb bag. Price Product of Ontario. $3.29 kg. Longo bro taste Ontario sourced. Foodland Ontario. Fresh Onions Or Carrots $0.99 Sale Price Product of Ontario. 2lb bag. Longo bro taste Ontario sourced. Foodland Ontario. Fresh Organic Lil Snappers Bartlett Longos Flyer Pears $3.99 Sale Price Product of U.S.A. 2 lb bag. 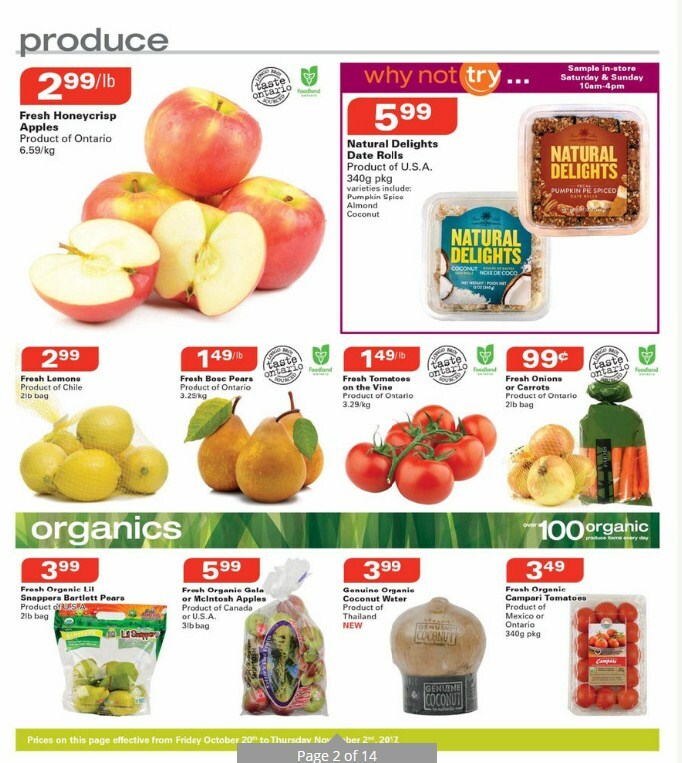 Fresh Organic Galaor McIntosh Apples $5.99 Sale Price Product of Canada or U.S.A. 3lb bag. Genuine Organic Coconut Water $3.99 Sale Price Product of Thailand. Fresh Organic Campari Tomatoes $3.49 Sale Price Product of Mexico or Ontario. 340 g pkg. 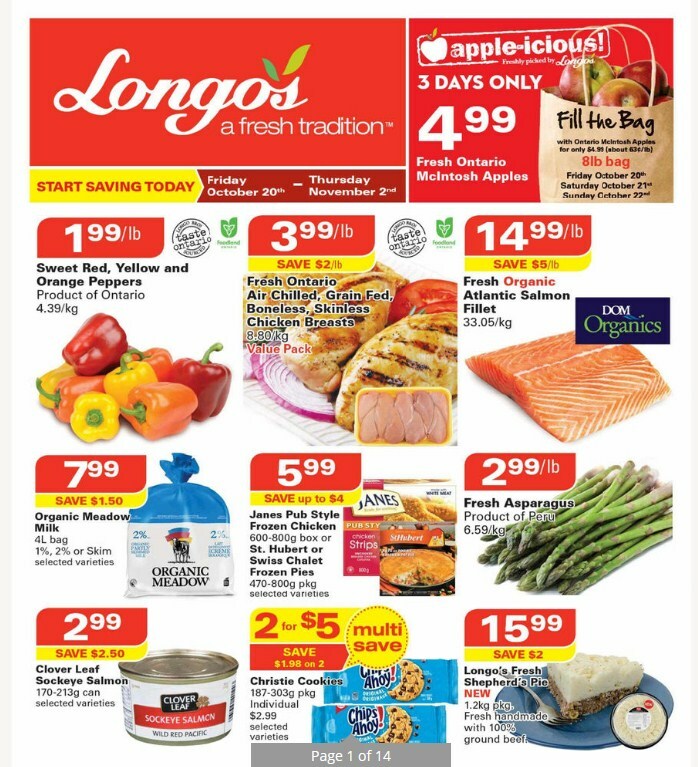 Longo’s Fresh Whole White Or Brown Mushrooms $2.49 Regular Price 2 $4.00 Sale Price $0.98 Savings Product of Ontario. 8oz pkg. Longo bro taste Ontario sourced. Foodland Ontario.